As a serial entrepreneur, I’m always on the lookout for innovative ways to grow my business. 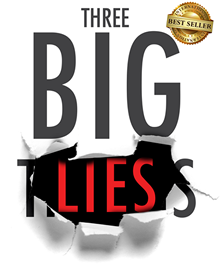 Three Big Lies is the first book of its kind that I’ve seen that walks you through the opportunity to dramatically ramp up leads and sales by leveraging the successful brands of other companies by having them send your sales message to their list. Email is the cornerstone of our digital lives, and Doug Morneau is here to explain how to turn a humble email list into a powerful sales funnel to help broaden your reach, engage your audience, and — of course! — drive revenue. This book should be required reading for marketing directors, small business owners, online entrepreneurs, and anyone else searching for a proven, high-ROI method to make meaningful contact with customers. Insightful and thought-provoking read for marketers of all levels, highlighting the full potential of email marketing for all businesses, with many hiddengems of ideas along the way! In the email marketing space there are a few hard and fast rules; “Never buy a list, and be careful how you rent one” top that list. Doug takes these taboo topics and shows you how to get it right each and every time. I could have used this book many times over the last two decades to educate clients and help them build a better more, successful email programs. What if you could reach your ideal customer, each of whom has raised their hand, asked to be contacted, and given permission to receive information about the exact product or service that you offer? Wouldn’t you agree that would be a great opportunity to share your story, your offering, and offer to help them with their problem, by purchasing from you? At every event, discussion with authors, business groups, and entrepreneurs over the last 5 years the revelation has been the same. None of them realized that they could use permission-based marketing via email list rental to immediately gain access to hundreds of thousands of potential consumers of their products and services. While this lead generation marketing tactic is well known within a small circle of marketers, it’s been absent in the discussion at marketing conferences, and the boardroom. If it has been discussed, email list rental has been misunderstood, wrongfully maligned, and ignored. During the biggest financial crisis in the history of the world since the great depression, Doug helped his clients raise over $100M in venture capital for their publicly traded companies by sending their story to multiple permission-based rented email lists, using online pay per click advertising, and social media. His bold aggressive strategy grew his client’s businesses massively and made Doug the largest single largest purchaser of rented email lists in North America booking as much as $16M per year of this media. With Doug’s extensive experience renting permission-based third-party email lists he has helped his clients to reach millions of potential investors online. In addition to online investors, he has used this targeted and responsive email media to identify and market to many industries, sectors, and consumer group matching his client’s avatar or ideal customer. 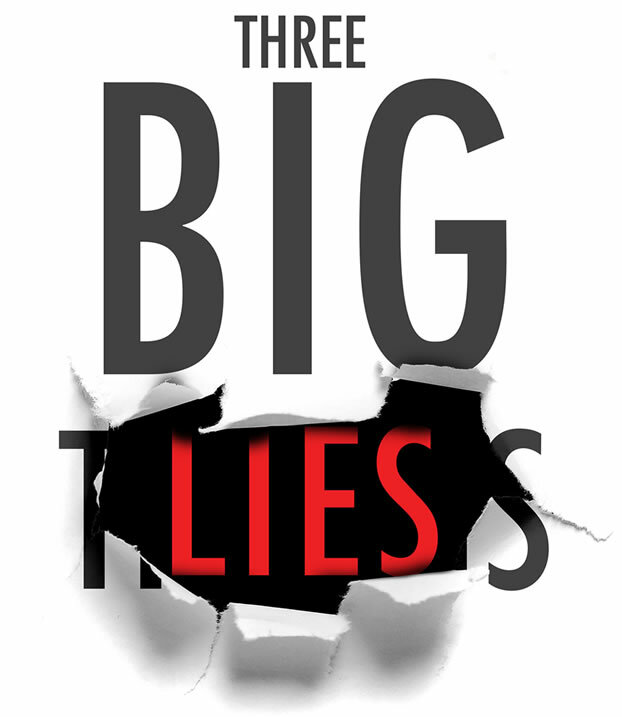 So was out of the lack of current and accurate information on the topic, that Doug wrote his book 3 Big Lies. He shares the good, the bad, and the ugly truth of how to leverage third email lists. With plenty of specific details and case studies, he walks through the topic in nontechnical terms suitable for both the experience and new reader on this topic. There are two options for leveraging email marketing: build your own email base or come to those who already have it. Building your list takes time and never-ending process. Doug gives many tips on how to grow it and how to market with it. There are ways to increase the delivery of your emails, as often what you write can go to the spam folder. He talks about how to find your dream client email lists and rent an access to those people or you can collaborate with the owners. For advanced users, he shares about free advertising on other email lists using affiliate marketing and many more. Got new insights from there. If you’re serious about email marketing this is the book to read. Great Value, Actionable Tips, and Helpful Resources! This book details easily actionable tips and has brought real value to my career. 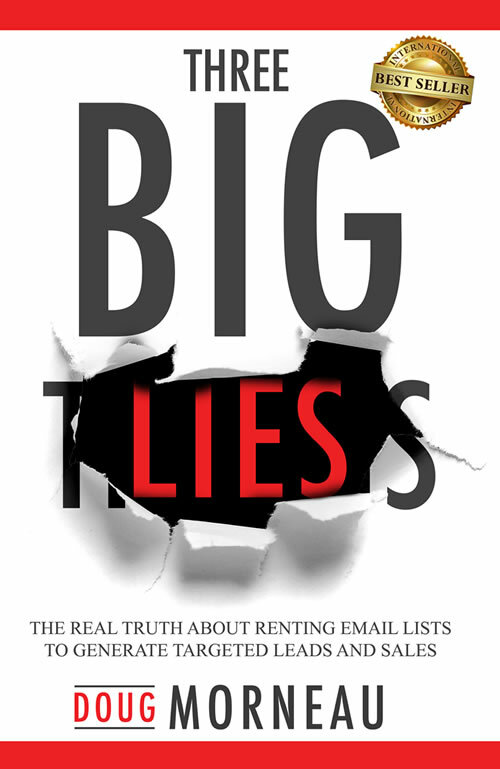 Everyone who uses email as a marketing tool needs to read this book! I've been waiting for a book like this for a long time! It's amazing! Bravo! I work in this space and there's been a lot of confusion going on as to how and where email marketing has moved to. This clears a lot up, and gives me the optimism and know how to utilize email marketing in my upcoming projects. Email list rental is a forgotten art… and as Doug reveals, can be a lucrative revenue channel when done properly. Doug dispels the myth that email marketing is dead… plus, he shares some great resources and tricks of the trade to maximize ROI. A great read for any marketer looking to boost sales and profits. A must read for those buying lists and conducting email marketing. Read this first and save yourself heartache. The ideas in this book are brilliant. For anyone looking to buy lists for marketing, you need to buy this book first. I wish I had this book years ago. A real eye-opener. A must read. fast-paced and very informative. A gem! Great insights from Doug well worth the read! Like many people, I had constantly been told that one should never rent cold, third-party e-mail lists. Such offers were invariably categorized as scams. Doug’s book changed my mind. He makes a compelling case that, done right, this is a totally legitimate marketing method. Moreover, because of the myths and misunderstandings about this technique, most marketers avoid it, so it presents huge, overlooked profit opportunities. 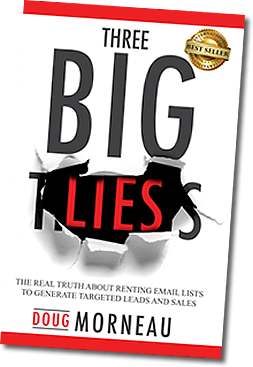 This book reveals the advantages of using e-mail lists, documented results of successful campaigns, strategies, and a step-by-step guide to cashing in on this tactic. A must for every direct marketer. 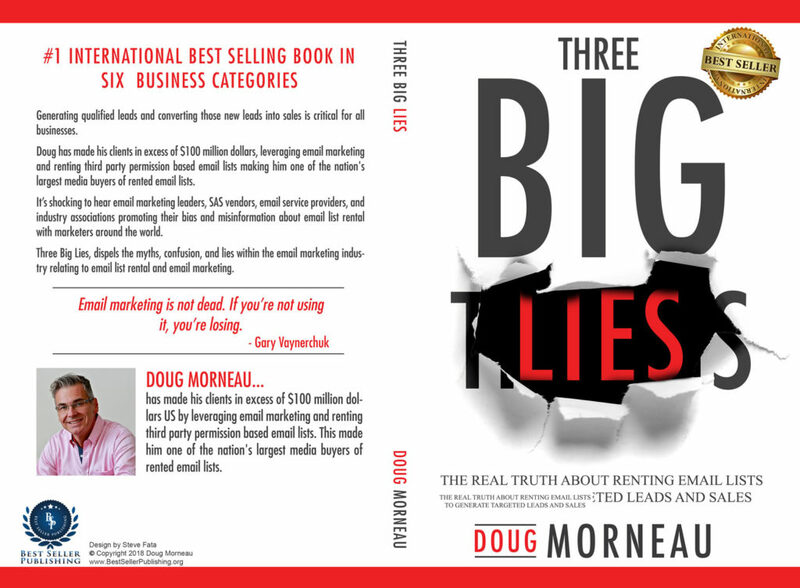 I have appreciated the detailed expressions Doug Morneau has offered on this and many other topics for over 20 years – seeing it in print and available to the masses is a natural progression to sharing his experiential expertise! This book offers his no-nonsense insights and has usable bites of expertise that you can apply instantly and see results – highly recommend this read! I thought I knew the email marketing business, but after reading this book I will be able to save our clients time and money. It was very well done and I hope he writes about other tricks of the trade.